Interviewing Gordon Gravett: What a treat! I’ve written previously about Gordon Gravett and his remarkable pair of books on modelling trees, so it was a real treat to interview him for the podcast I co-host. 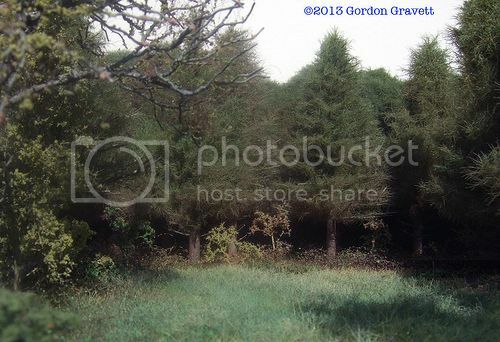 Gordon and I talked about the importance of realistic trees for a layout and why he got interested in modelling trees. 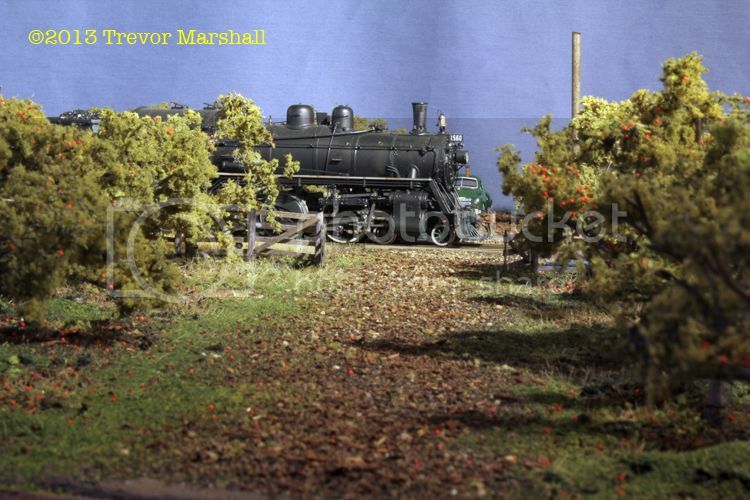 We also talked about Pempoul – his spectacular 1:50 scale exhibition layout based on French meter gauge. Then check out our interview. The interview is part of Episode 49 of The Model Railway Show. If you’re not familiar with the show, here’s how to listen. The reason I haven’t posted much about layout progress lately is the stuff I’m working on is slow-going. For example, I spent several hours this week building tobacco plants for the field in St. Williams. I have another 40 to do and then the back field is finished. That’s only 400 more little pieces to glue together – given that I’ve already assembled more than 450 of the plants, another 40 is a piece of cake! Today, I hosted Oliver and David Clubine – the father and son team behind Ridgehill Scale Models, which produced the CNR Fowler boxcar and CNR cabooses that I use on my layout. What an absolute treat to have these two in the layout room! 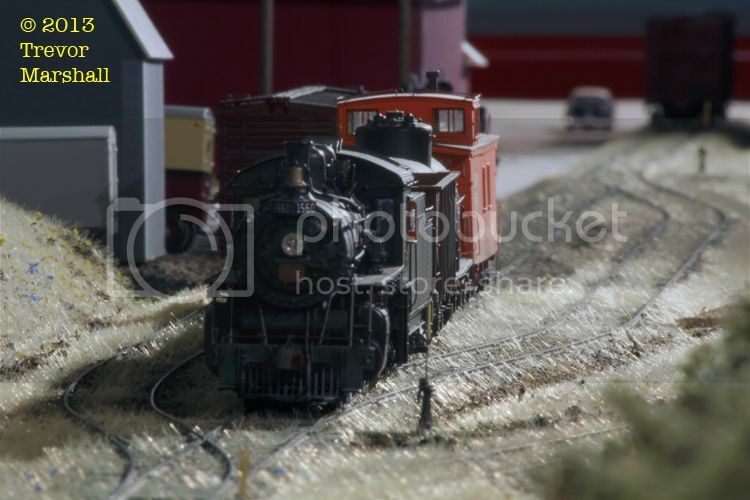 David is planning an S scale CNR layout featuring Port Dover, Simcoe and Port Rowan. 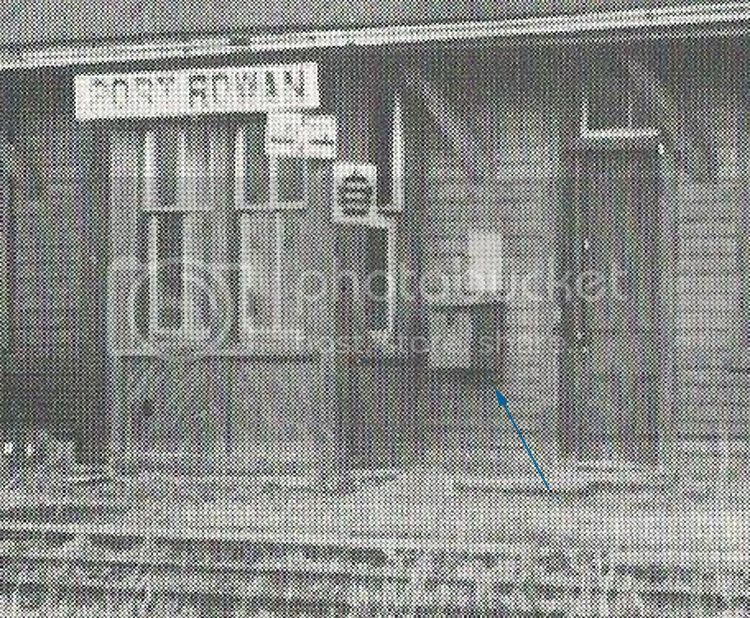 Oliver has been working on an S scale model of the Port Rowan station – he’s been busy modifying Grandt Line windows. 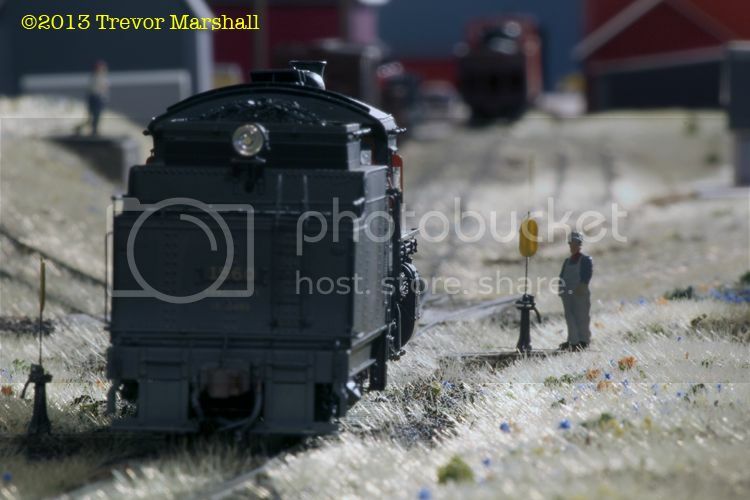 Both know a fair bit about the Port Rowan branch and seemed to enjoy their visit to my layout. It’s always nice to show off the layout to people who know the area I’m trying to model. David and I ran a freight extra to Port Rowan, with four cars to set off and three to lift. Things well reasonably well, although the tender on locomotive 1560 derailed a few times. Either the change in weather is having its way with trackwork or I need to fiddle with something in the drawbar area. I’ll do some tests and fix the problem. We talked a lot about the market for resin kits in S, since the Clubines market resin models. I am, frankly, surprised that modellers working in S, in general, do not “celebrate the differences” in rolling stock to the same degree as our cousins in HO. It seems to me that S scalers are far more willing to accept a model as prototypically accurate because the paint scheme is correct – nevermind issues like gussets, underframe arrangements, end details, and so on. I know many modellers working in HO who buy multiples of available resin kits to cover the variants in a given car type – not only road-specific variants, but also variants introduced over the life of the prototype. That doesn’t seen to happen as much in S, which is a shame because S is such a builder’s scale: It’s enough bigger than HO that the details really leap out, and at 1:64 it’s a natural for scratch-building because measurements are easy to convert from the protoype (most Imperial rulers are marked with 1/64 inches, so each tick mark equals an inch on the prototype). So, the question becomes, why aren’t S scale modellers demanding – and then buying – resin kits that celebrate these differences? I don’t know the answer. But I do know that when I visit layouts like the one my friend Pierre Oliver is building, I’m always struck by the wonderful variety of rolling stock. Even boxcars are unique. A string of house cars will present to the viewer a riot of roof heights and roof-panel treatments – something that one just doesn’t see in S scale. That’s a question to ponder another day. For now, I’m really glad Oliver and David made the trip and seemed pleased with what they saw. It was great to run a train, and talk about the state of S scale and future plans for the layout. I will address the derailing issue – possibly caused by a sticky drawbar, and possibly by seasonal shifts in trackwork. And I look forward to the next visit by the Clubines! As I attempt to model Port Rowan in S, one of my most important sources for information and inspiration is Ian Wilson‘s book on the line: Steam Echoes of Hamilton. If you do not have the book, and want a copy, you might be interested to know that Ian is selling off a number of items on his eBay store, including Steam Echoes of Hamilton for $24.95. This is approximately one-third the price when he published it. There are other titles in the series on offer as well. Not at all affiliated with Ian – I’m just a reader of his books and thought others might be interested. 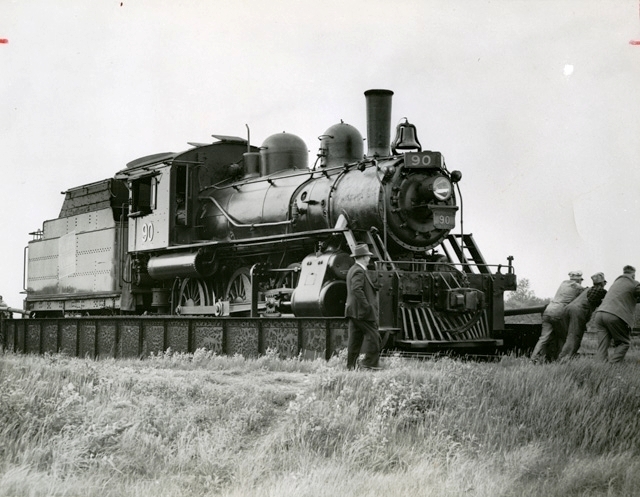 I was just Googling about and I came across a blog that includes a four-part feature, with photos, of the mixed train that served Port Rowan (and Port Dover, and points between Simcoe and Hamilton). 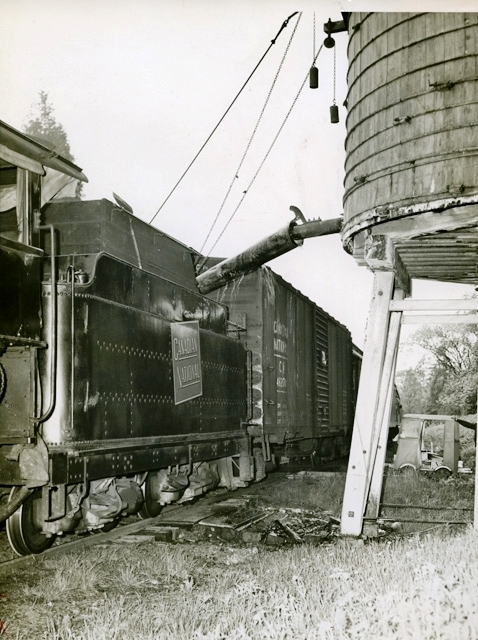 The pictures were taken by Bruce Murdoch, a photographer for the Hamilton Spectator, who rode the train in June of 1953. I’m now even more pleased that Chris Abbott built a pair of bill boxes for me, to hold the model waybills I use for operating sessions. I was photographing the layout yesterday and decided to experiment with a 70-300mm zoom lens. Zoom lenses do foreshorten the scene, so for example the switches look a lot sharper than they actually are – but I don’t mind the effect and the lens allowed me to get into places I can’t with the 18-55mm lens I normally use. Here are a couple of photos from the operating session. More to come. Future S scale kits from SMMW? Jim King at Smoky Mountain Model Works has updated his S Scale “What If” page… where he proposes several potential resin kit models and asks visitors to express their interest. Jim’s work is really nice. My recently acquired Central of Georgia ventilated boxcar is an example. 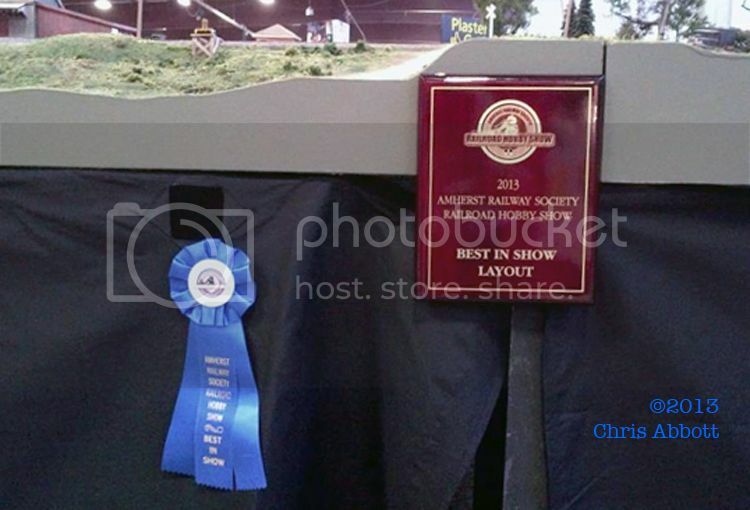 If you’re in S, and you haven’t yet reviewed the page and voted, give it some thought.